PLEASE NOTE: THIS PRODUCT HAS NOW BEEN DISCONTINUED AND SUPERCEDED BY THE NEW PROFESSIONAL MAXFORCE ANT NEST KILLER GEL BELOW. 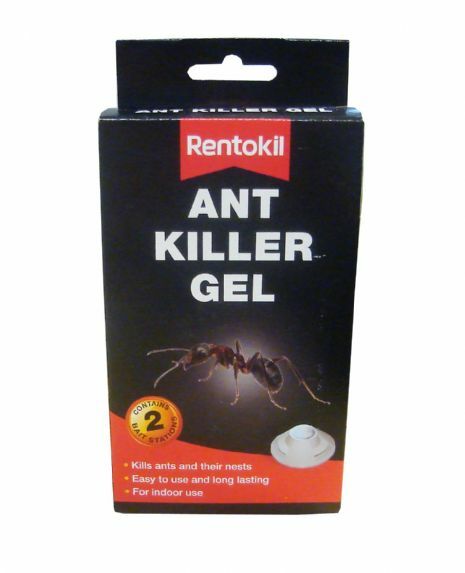 Rentokil Ant Killer Gel kills ants and destroys the nest, eliminating the colony and the queen. 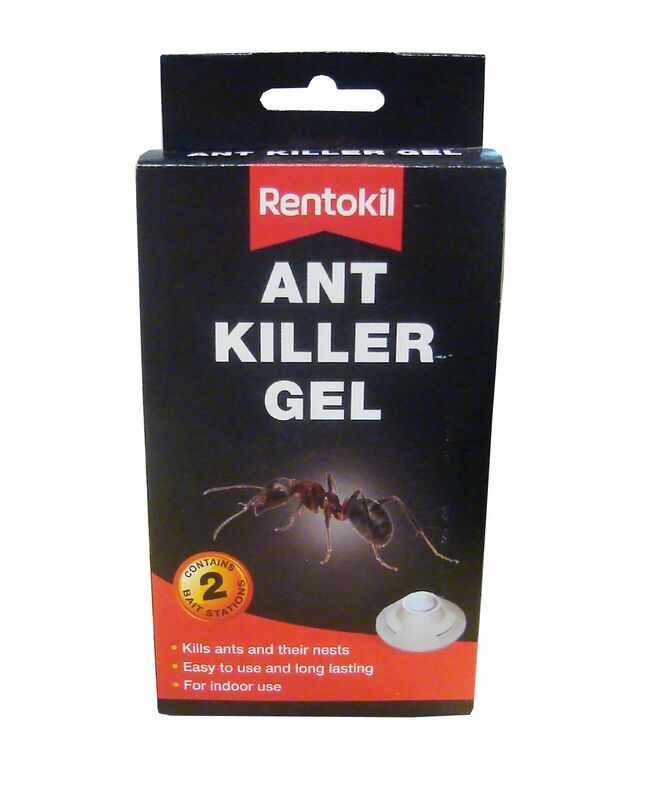 Each bait station contains a specially formulated gel to destroy both the ants and their nests. Worker ants are attracted to the bait and carry it as food back to the nest killing the queen and the colony. Contains active ingredient d-Phenothrin (0.093% w/w). Comes as a twin pack for increased catch rates. Kills ants and the nest. Please see the related product below, the Maxforce Ant Nest Killer Gel. Place unit on an even surface in paths used by ants, near where worker ants forage or near the nest. Place 1 to 2 bait stations per room depending on size, layout and severity of the infestation. Activate the unit by pressing gel capsule firmly downwards. Do not use where food, feed or water could be contaminated. Remove all remains of bait and bait containers and dispose of in a safe way. A very useful product. Safe to use in the house if you have children and pets. Easy to use and effective. Awesome. Lovely to see the critters get stuck! Ant stopper! I have a real problem with red ants in my lawn. So far, this seems to have been very effective.